You know that the ASUS ZenFone Max Pro M2 is launching in Indonesia on December 11. That, we already reported last week. Back then, we still didn’t have more information about the smartphone and its official announcement in other countries, such as in India and the Philippines. While we’re still in the dark about its launch date outside of Indonesia, a video review now offer us a good look at the ZenFone Max Pro M1‘s successor. The original, uploaded by YouTube tech channel GadgetsToUse, has reportedly been taken down. But there are other clips that are still up on Google’s video-sharing website, which make use of the one published by GadgetsToUse. You can watch them below while they have not been deleted yet. Assuming the unit featured in the video is the real deal, then the ASUS ZenFone Max Pro M2 is indeed powered by a Qualcomm Snapdragon 660 processor. The chip is paired with up to 6GB of RAM and up to 64GB of storage, though it’s possible to see more memory configurations. The unveiling of the device should signal the introduction of the notch to ASUS’ midrange lineup. It used to be relegated to the more premium ZenFone 5 and ZenFone 5Z models. The full-HD screen still measures 6 inches, but because of the notch, the aspect ratio is now taller at 19:9. It’s protected by Corning Gorilla Glass 6, the same protection that the OPPO R17 Pro uses. 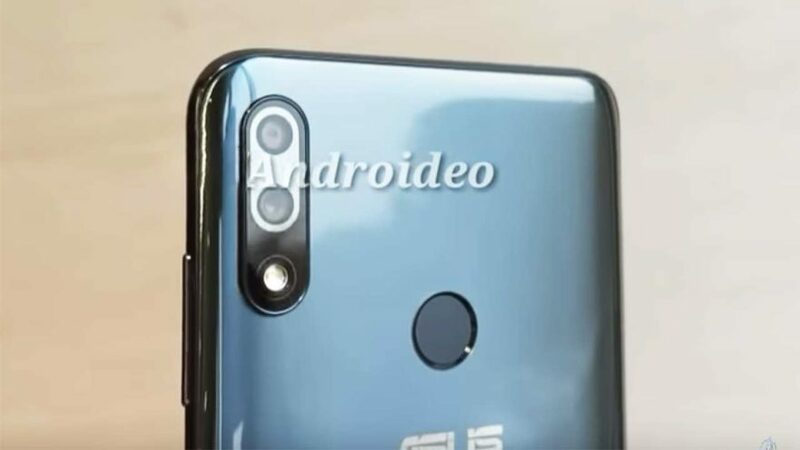 No, the ASUS ZenFone Max Pro M2 doesn’t feature three cameras on the back, as previously reported. Instead, there will be two — a 12-megapixel Sony IMX486 sensor with f/1.8 aperture and a 5-megapixel one for depth sensing or for those shots with bokeh effect. On the front is a 13-megapixel selfie camera with f/2.0 aperture aided by an LED flash. A screenshot of the part where the ASUS ZenFone Max Pro M2’s cameras are detailed. Instead of metal, the rear is now made of glass. However, it’s still running stock Android. And this phone won’t really be part of the Max series if it’s not fitted with a big battery, will it? The Max Pro M2 boasts a large battery with 5,000mAh capacity. It will probably last you two days. The first Pro grabbed headlines because it offers great value for money, undercutting even the already aggressively priced Xiaomi Redmi Note 5 Pro. Will the M2 follow in the footsteps of its predecessor? That, we’ll know soon enough. In the Philippines, the ZenFone Max Pro M1 with 3GB of RAM and 32GB of memory is currently retailing at P8,995 (around $170) while the variant with 4GB of RAM and 64GB of storage is priced at P10,995 ($207).